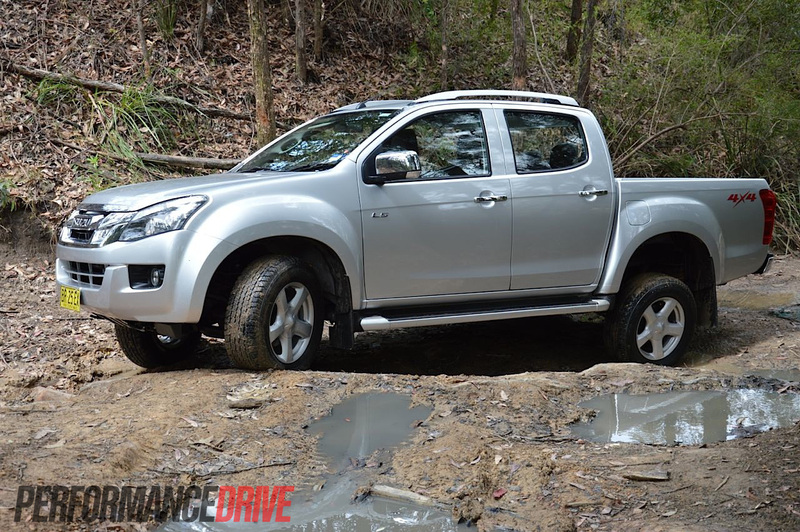 The Isuzu D-Max is one of the very best-selling vehicles in its home country in Thailand. 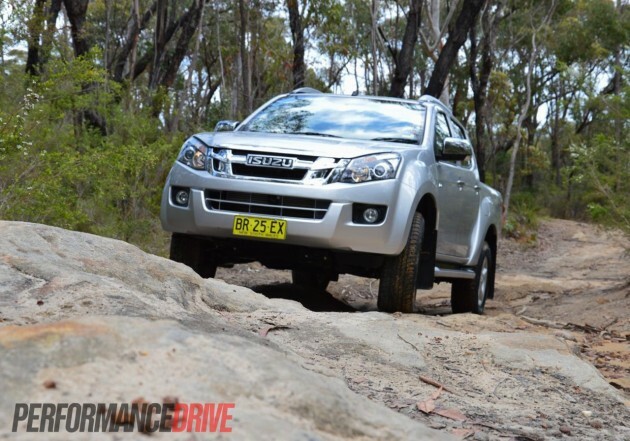 So how does the new flagship 2012 D-Max LS-Terrain 4×4 shape up in Australia? And does it compare well to its highly competitive rivals? 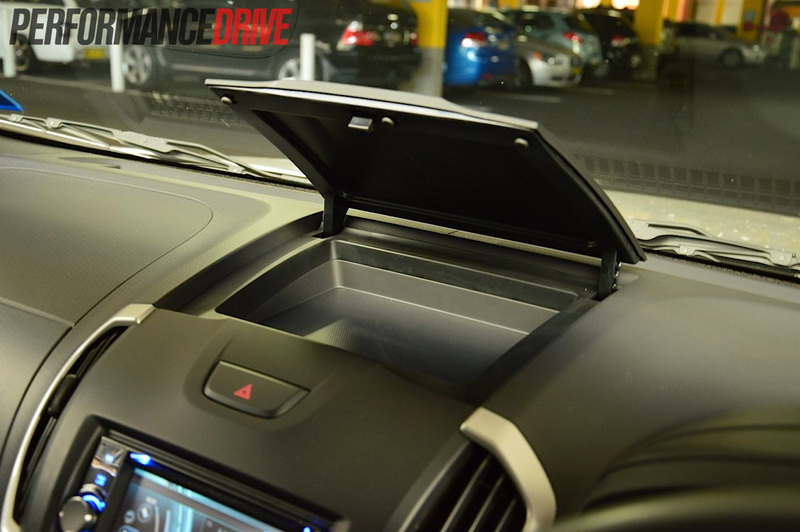 The 2012 D-Max is a complete new model that’s more refined, more efficient, and more advanced than the predecessor. 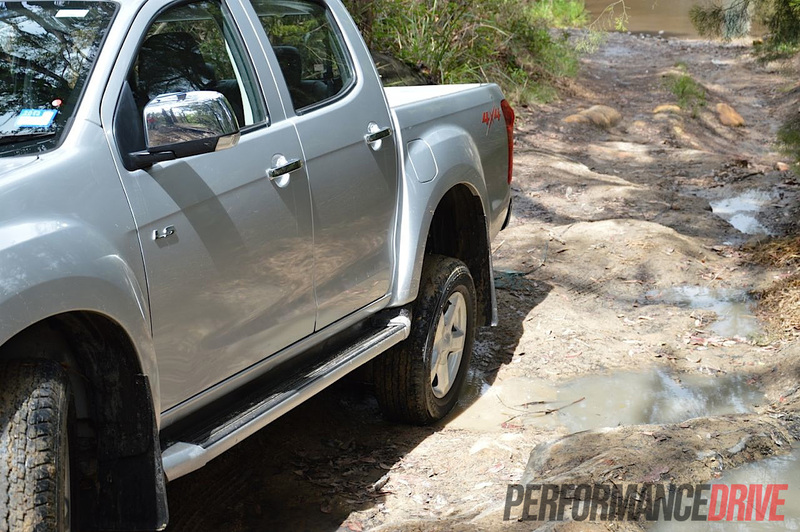 It shares its platform with the new Holden Colorado, with the same major fundamentals, including the chassis, exterior dimensions, and suspension layout. 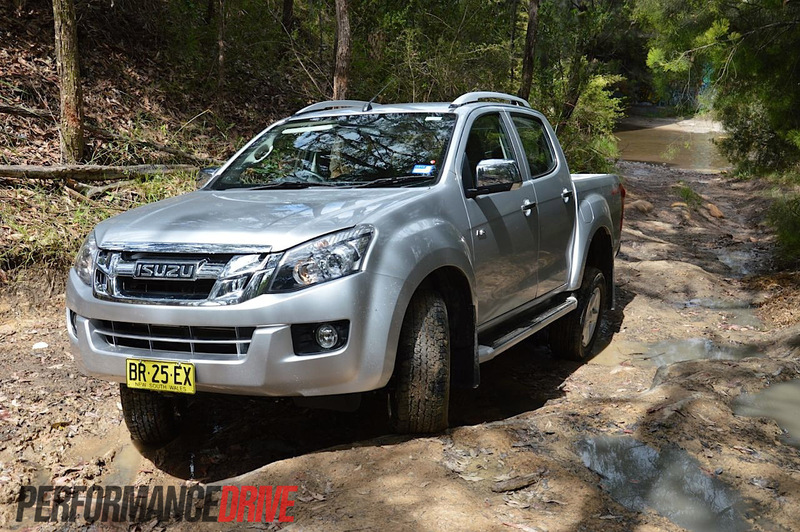 The Isuzu sets itself apart with a unique suspension tune, different styling and tray, and a slightly less powerful 3.0-litre engine compared with the Colorado’s 2.8 (132kW/440Nm). Both are made in Thailand, however, they are made in completely separate factories. The D-Max LS-Terrain is the top-of-the-range variant in a rather complicated lineup. 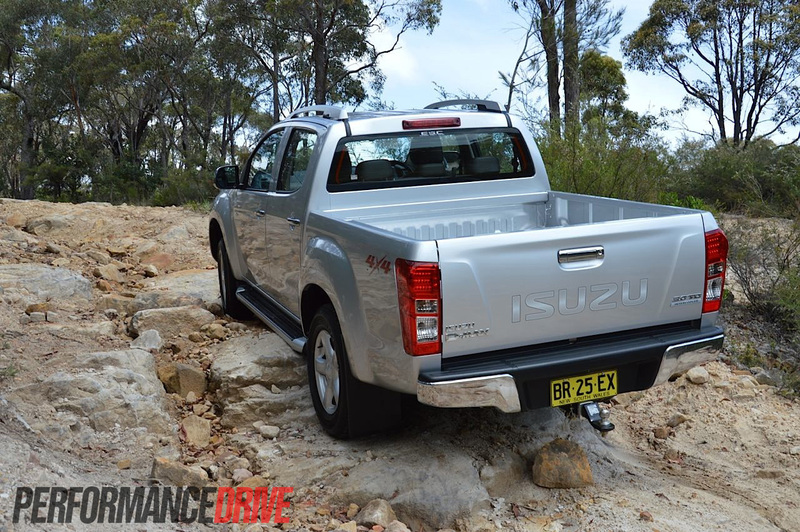 Basically, the D-Max ranges from SX, EX, to the LS. 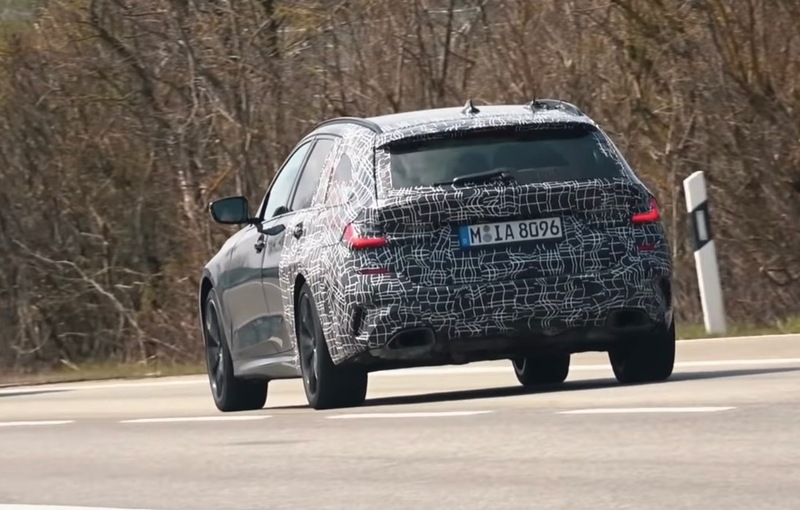 And then the LS comes in a variety of trim levels as well. 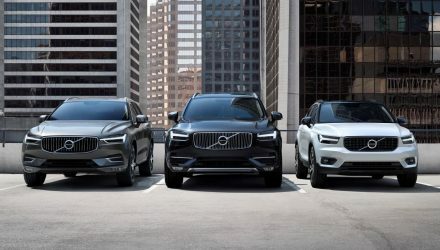 No matter what variant you go for, all are powered by a revised 3.0-litre turbo-diesel four-cylinder engine producing 130kW and 380Nm (up from 120kW/360Nm). 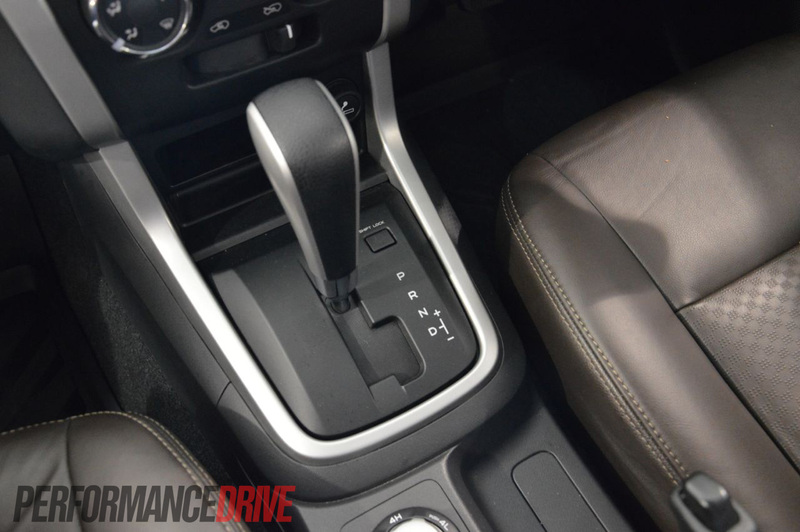 The unit can be matched up to either a five-speed manual or a five-speed automatic transmission. 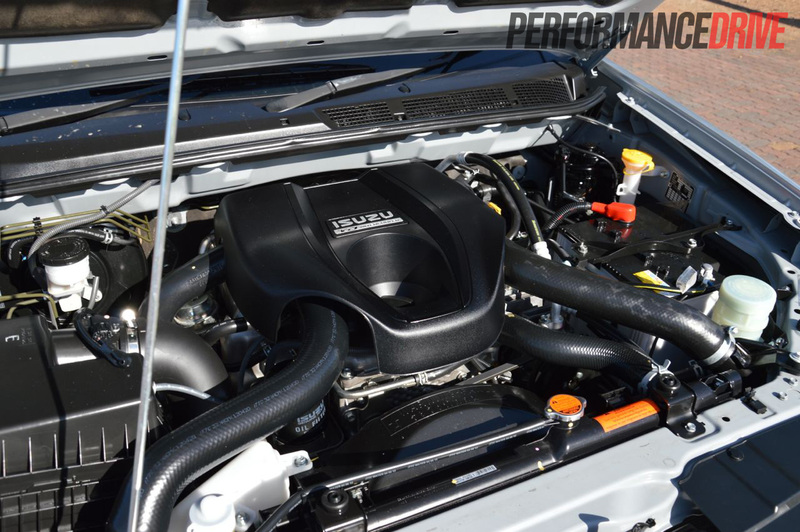 Those who know their utes will see these engine figures are about on par with what most of the leading contenders offer in this segment. 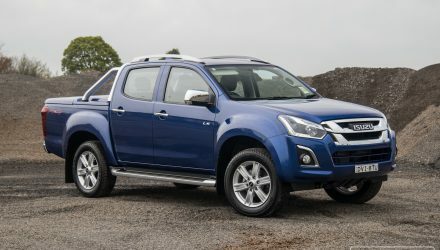 The only rival that’s significantly more powerful than all other 4×4 utes on the market at the moment is the Nissan Navara ST X 550, which offers 170kW and 550Nm. 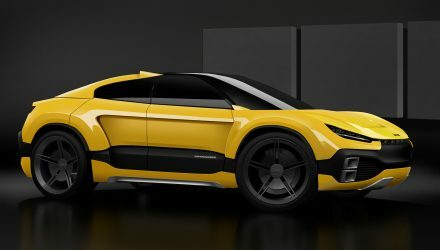 Prices for the top-spec LS-Terrain start at $49,990 for the manual, or $51,700 for the auto (excluding on-road costs). 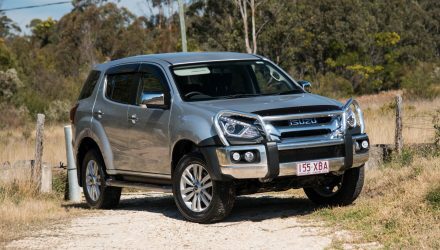 This price point puts it very near the best-selling ute in Australia; the Toyota HiLux (SR5 turbo-diesel automatic; $53,490). 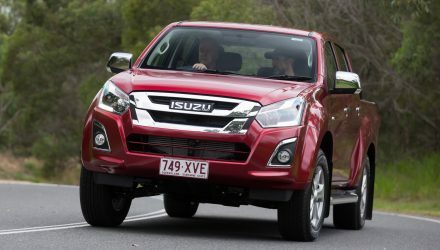 Last month (October, 2012), Isuzu sold 611 4×2 and 4×4 D-Max utes, while Toyota sold a whopping 3403. The D-Max was in front of the Volkswagen Amarok however (583), but behind the big-name Japanese favourites. 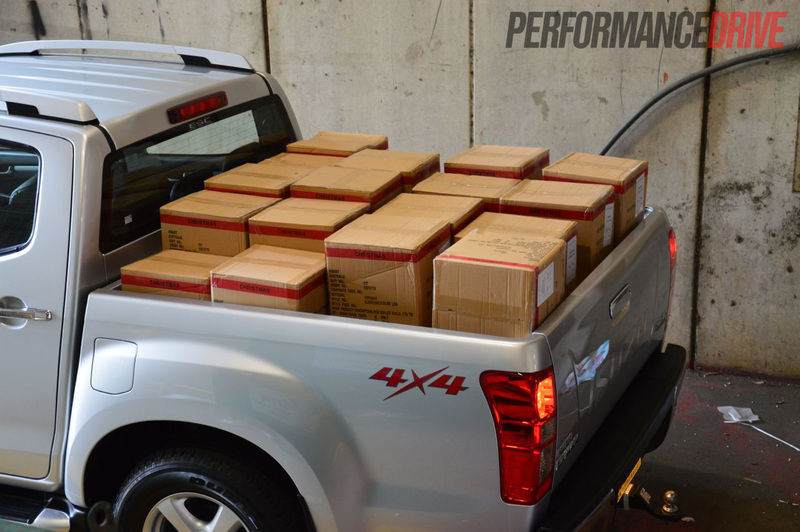 See below for the October 2012 4×2 and 4×4 sales figures. Being the top-line variant, the new LS-Terrain comes with a reasonable list of standard features. 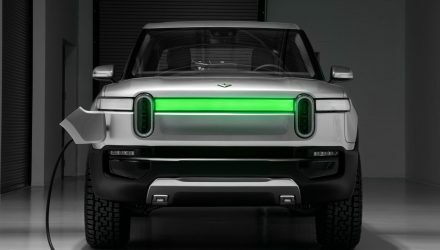 Some of these include leather seats (electronically adjustable for the driver), GPS satellite-navigation including maps for over 10,000 off-road tracks in Australia, cruise control, four cup holders in the front and two in the back, multiple 12-volt power sockets, and a pollen-filtered air-conditioning system. It’s not the most luxurious place inside the LS-Terrain. 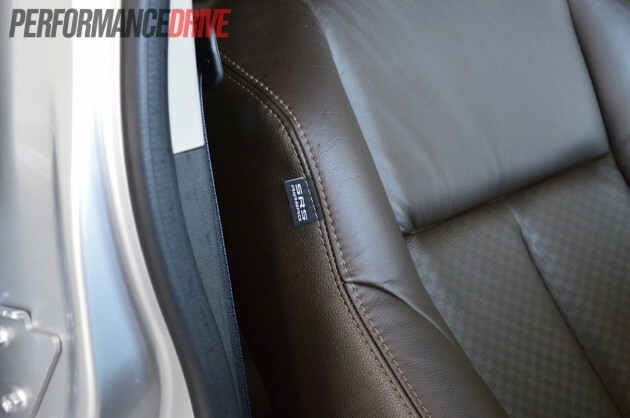 The seats are covered in leather, brown leather in the case of our test vehicle, but there’s little in the way of pampering luxury appointments filling the cabin. 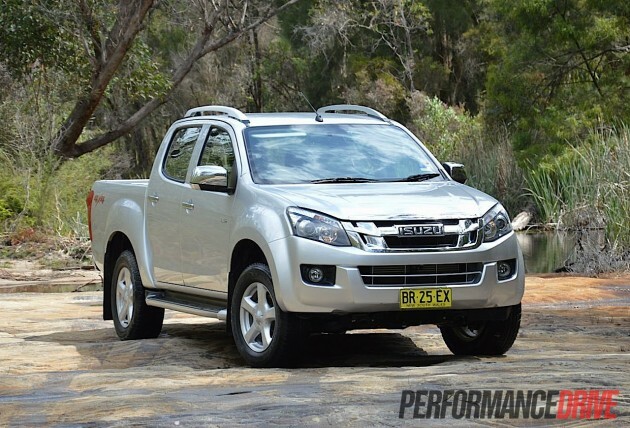 We can see where Isuzu is trying to go with the brown trim, but we feel it has missed the mark. The leather is very hard while the dash doesn’t feature any unique trimmings or highlights to match. In fact, the dash is the same across the board. 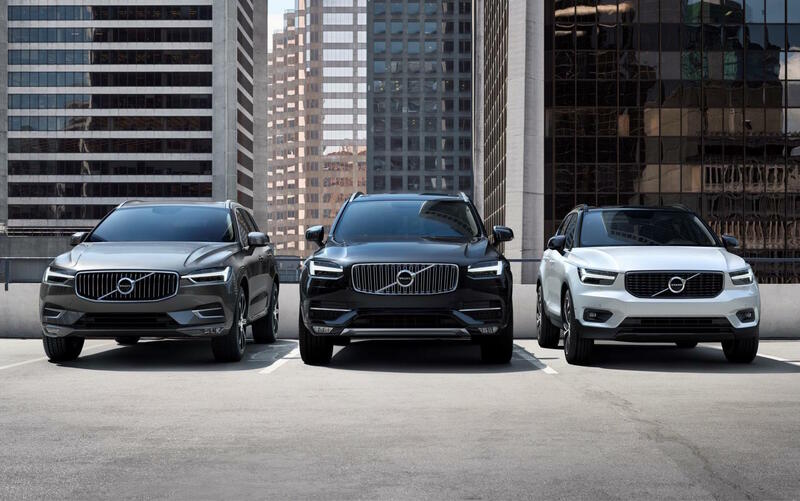 The brown seats are pretty much the only indication that this is the top model. On the plus side, the seats and most surfaces seem hard-wearing. The tough leather can be a very good thing too, especially if you plan on using the D-Max as a genuine workhorse. Sitting in the front or the rear, you find there’s ample room with good shoulder space and legroom. 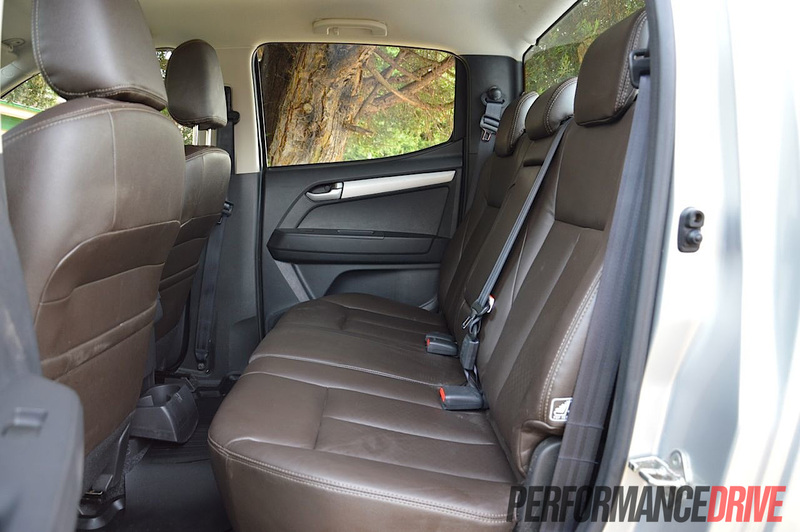 The seat cushions are also soft and comfortable, and in the back you don’t feel too perched up and bent forward like you do in some utes. We found the driving position to be a little on the awkward side, with no reach adjustment for the steering wheel making matters worse. 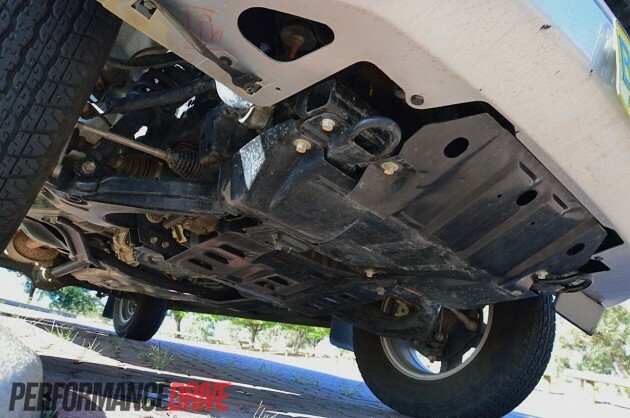 The steering column can be adjusted for rake only. 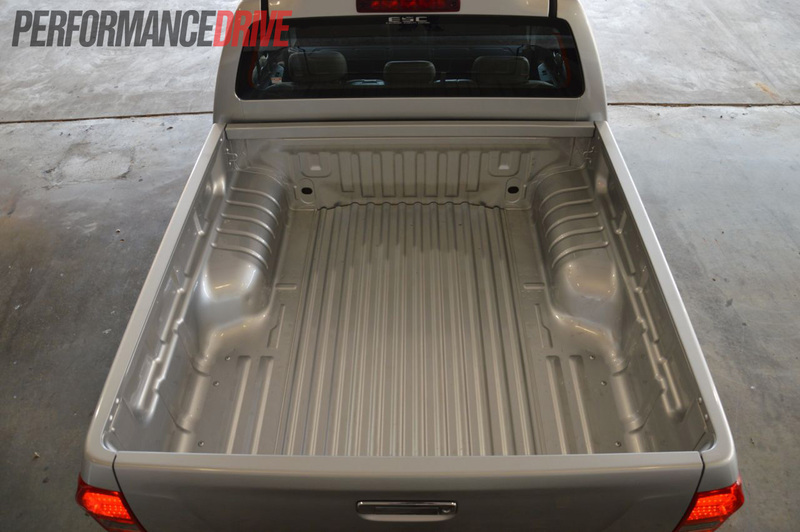 The front seats don’t offer much in terms of lateral support either, but then again, this is a ute meant for working not cornering. 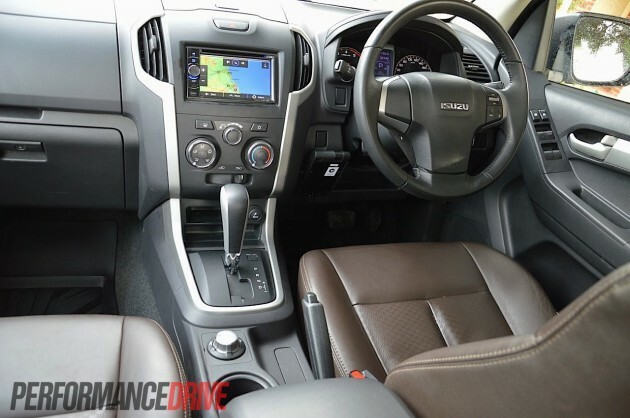 At the top of the centre dash fascia is a touch-screen Clarion multimedia system with satellite navigation. The browsing function within the unit, including the menus and options, are a touch fiddly, although, all modern media functions are there and the graphics are quite good. 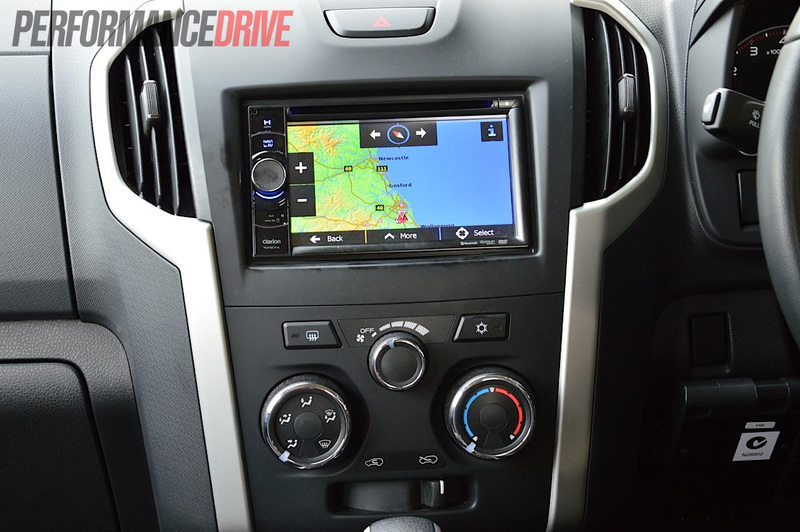 There’s MP3 and USB playback support, and a decent GPS system that is user-friendly. 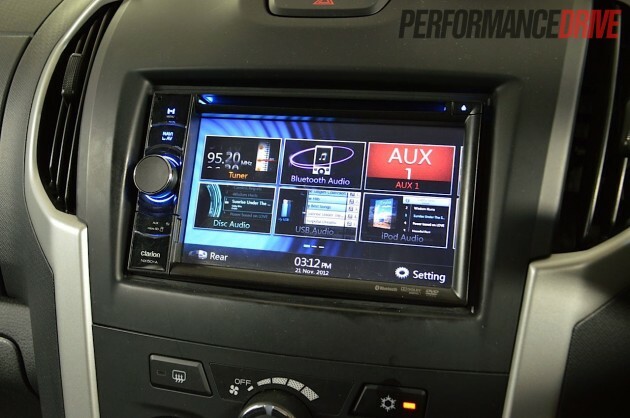 The biggest letdown of the interface is, in our opinion, the audio system. During our test music had a tendency to jump and skip while reading from a USB, a bit like as if a CD was scratched, while the speakers were far from ear-blasting, producing piddly bass and portable-radio-like stereo quality. 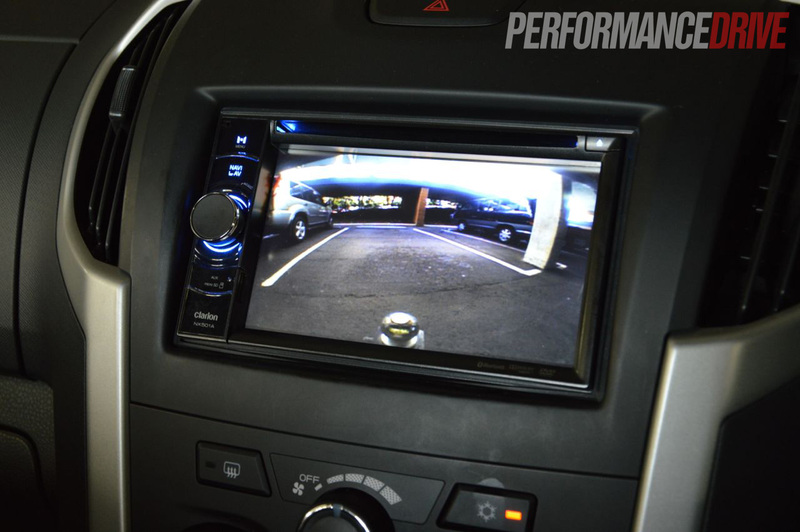 The poor quality sound system could be dismissed if it wasn’t for the LS-Terrain’s premium price tag, but when you’re paying $51,700, you’d expect more in this department. 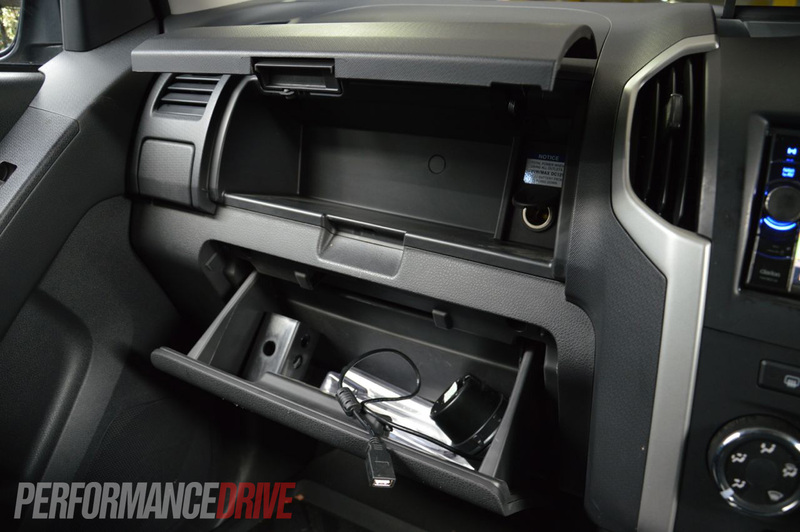 In the back, the D-Max dual cab tray measures 1552mm in length (along the floor) and 1530mm in width. This gives it a diagonal length of 2179mm, which is longer than any other 4×4 dual cab ute currently on the market, apart from the Volkswagen Amarok – the VW offers 2245mm in diagonal length. The 2012 D-Max is a good-looking ute. 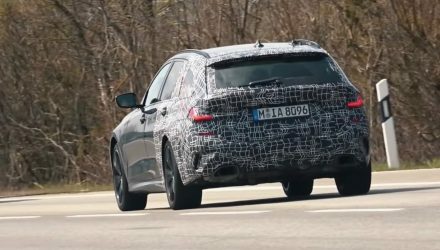 It stands out as something slightly different from the rest, especially at the front with its angry face, bolstered wheel arches, and prominent chrome grille. 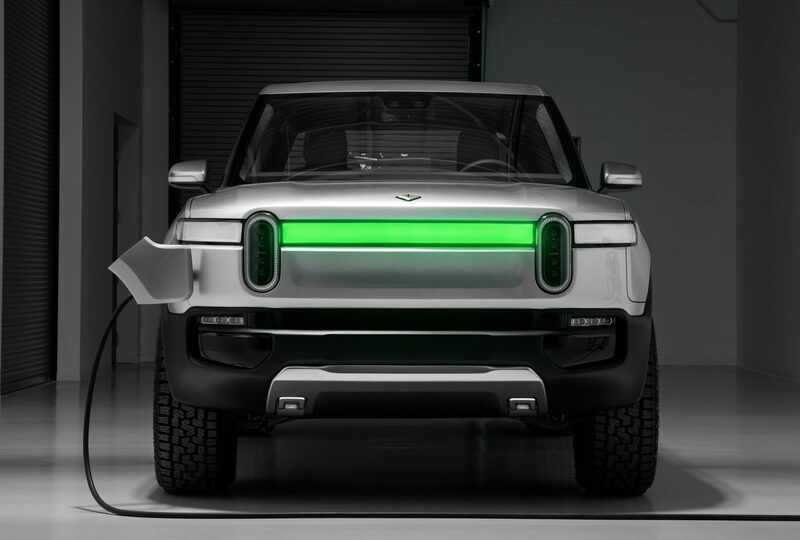 The flat panel contours flow evenly down the side, while the equally bolstered rear wheel arches give it that hands-on-hips superman stance. 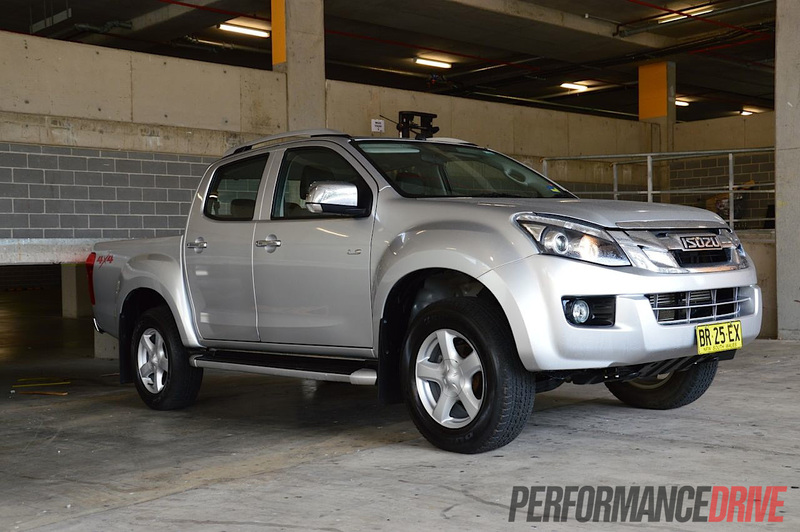 Using a new ‘i-GRIP’ (Isuzu Gravity Response Intelligent Platform) chassis, the 2012 D-Max is 42 per cent stiffer than the old model, providing better handling and more accurate feedback through the wheel. 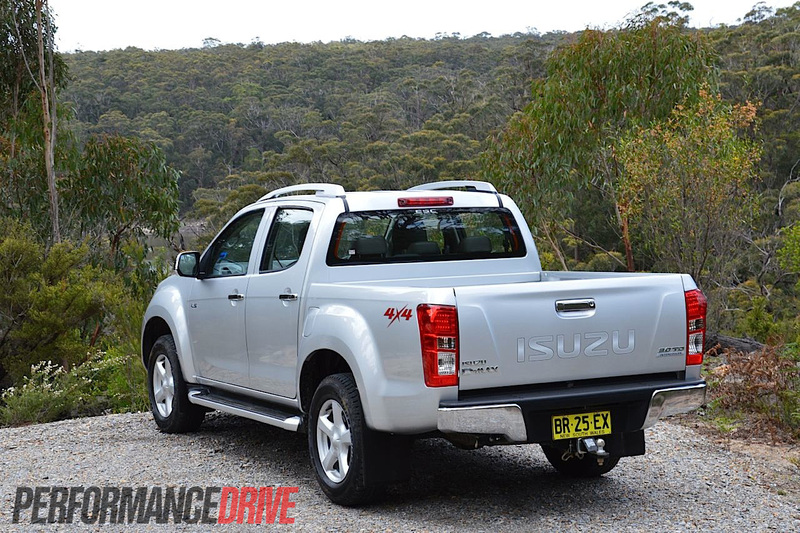 Even though 4×4 utes aren’t specifically designed to be driver’s vehicles, some offerings are nicer to drive than others. 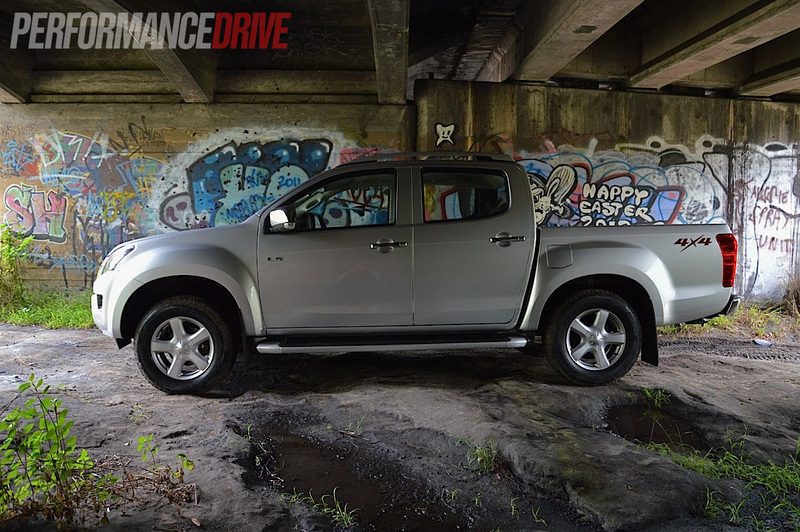 In our opinion, the D-Max sits at about average or just below average in terms of driver enjoyment and how it feels on the road. 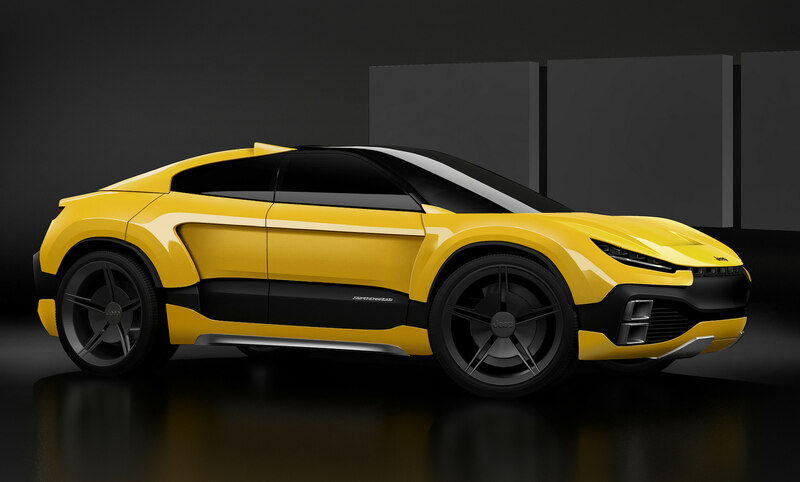 The steering simply does its job and turns the front wheels. 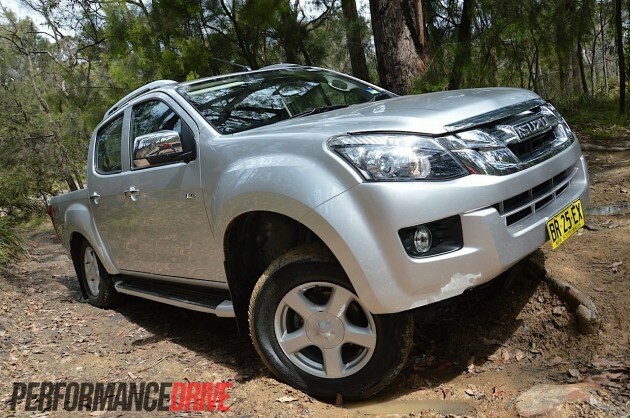 When encouraged with some enthusiasm, the D-Max’s composure is fairly easily disrupted, with gentle understeer letting you know it’s near its limits. 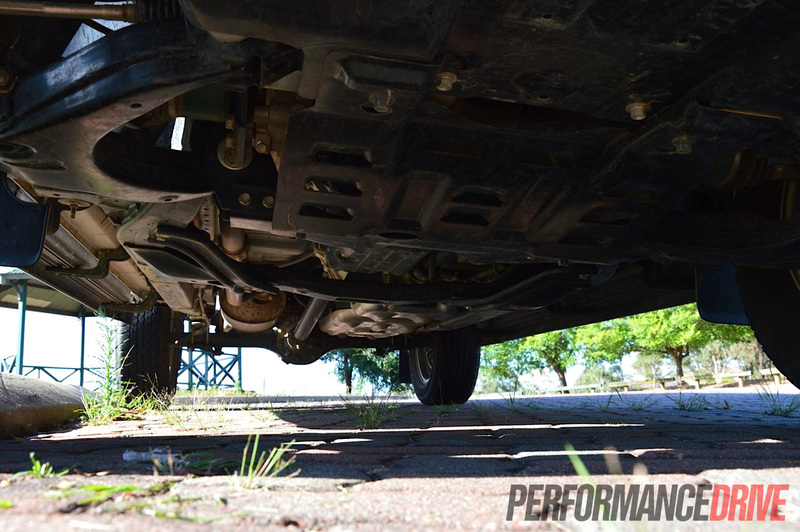 There’s little feedback from the helm, and you need to work it to make a turn due to a high gear ratio in the steering rack. 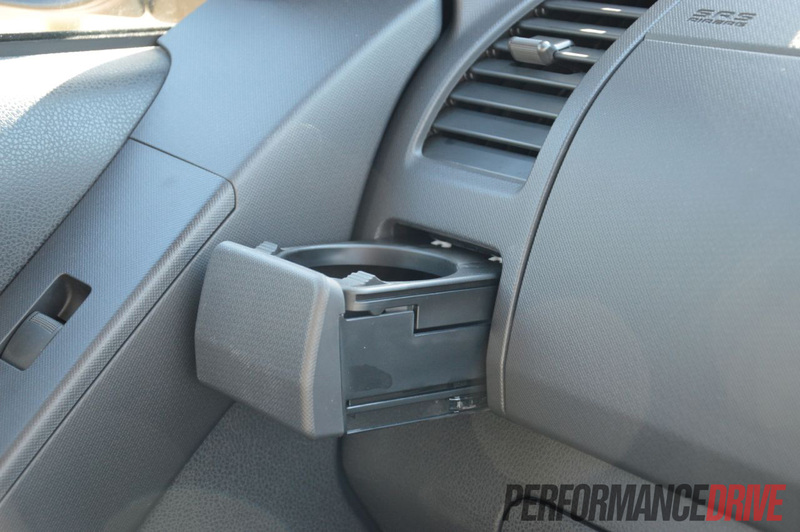 The amount of turns lock-to-lock isn’t quite as tiresome as what some of the rivals offer, but it can get exhausting threading the big ‘Max through city or tighter suburban streets. 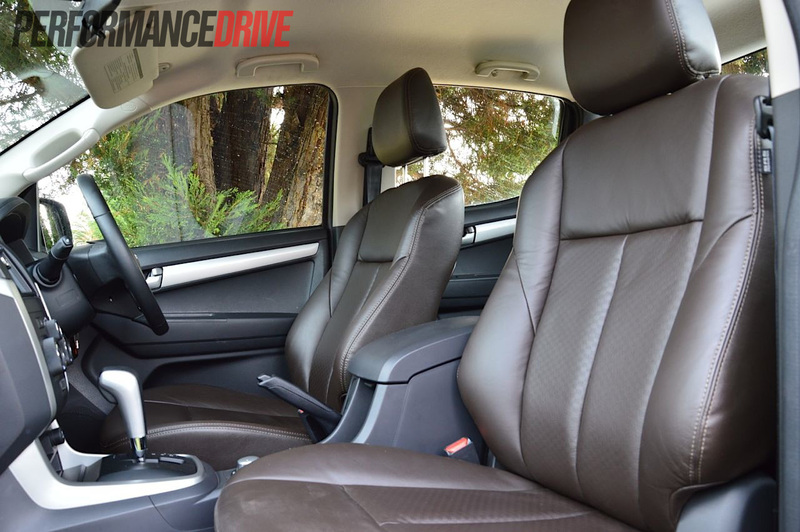 Ride comfort is reasonable for the front-seat passengers, although, the new ‘Flex-Ride’ double wishbone coil spring front setup does tend to dip and bounce under braking, like a seesaw. 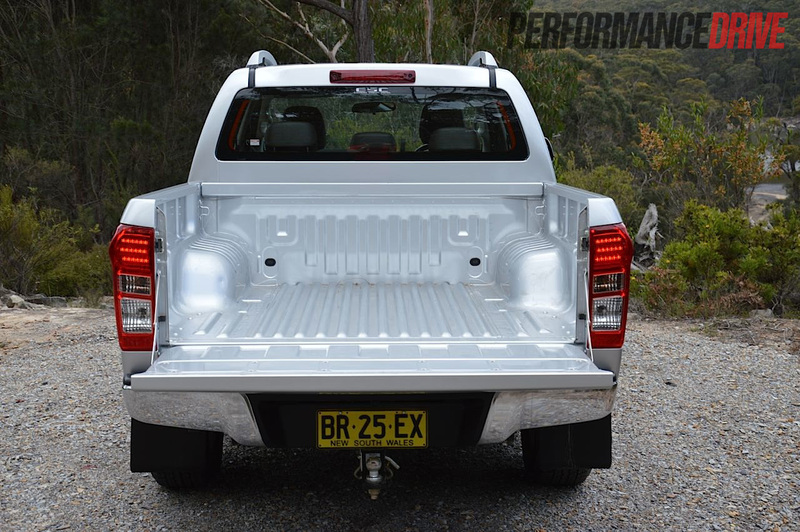 The rear also jiggles about over undulated surfaces, more so than other utes in this price range. While the D-Max might not be a class-leader when it comes to ride quality and driving refinement, its engine specifications and off-road aptitude are up there with the best of them. Featuring a very simple rotary 4×4 selection knob on the centre console, the D-Max can go from rear-wheel drive to four-wheel drive, high or low range, with one quick twist. 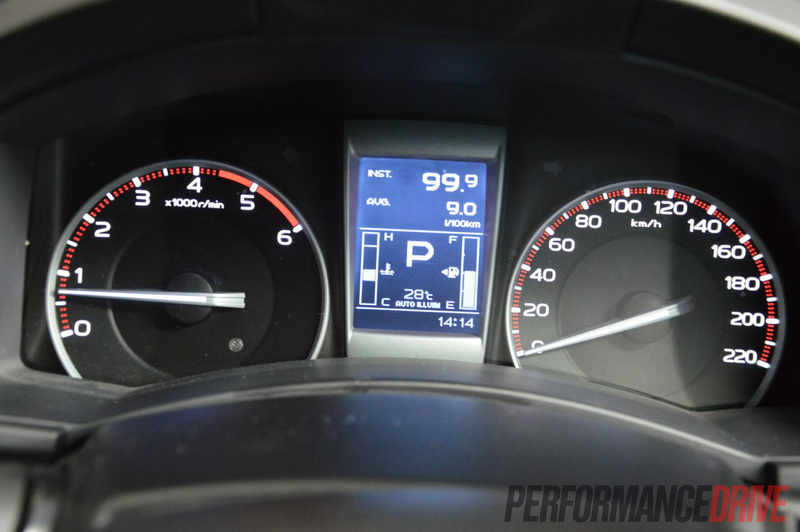 Rear- and four-wheel drive modes can be selected at speeds of up to 100km/h. 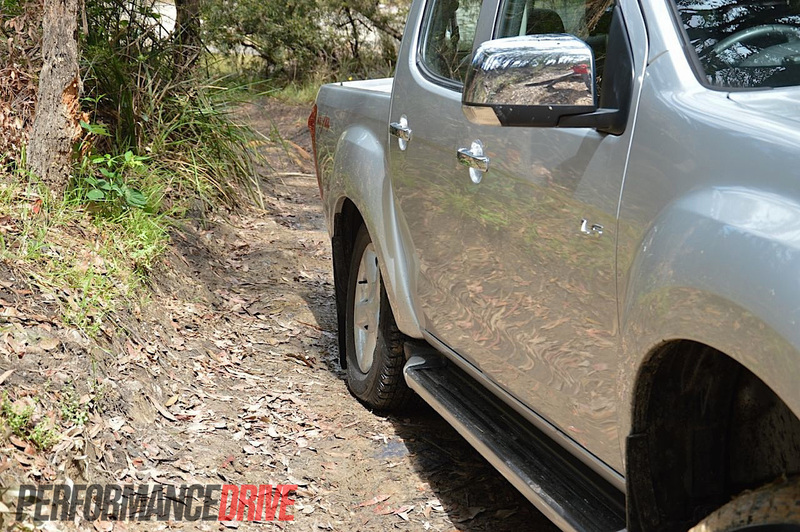 Once the hydraulics engage your desired selection, confirmed with a little notification symbol near the speedo, the D-Max turns into a go-anywhere machine. 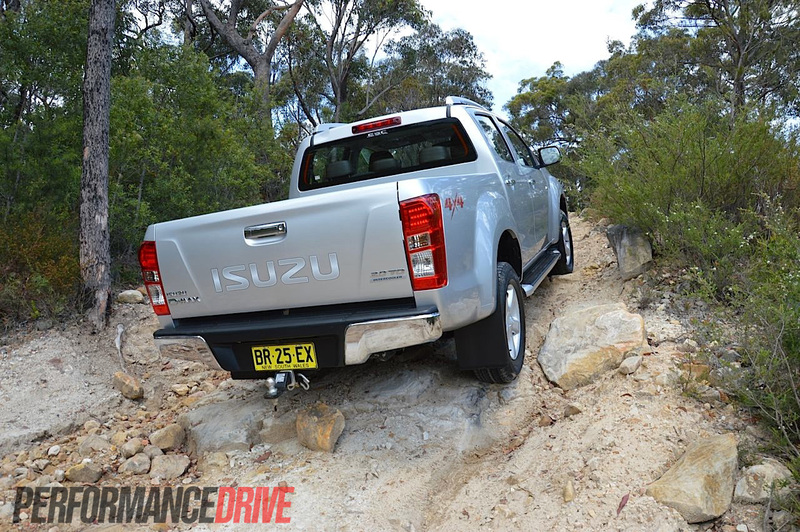 Through very rugged terrain, the LS has little trouble clambering over rocks and ruts thanks to a 225mm ground clearance. Even when it’s touching its belly, everything underneath is kept well up and away, with the important bits protected by thick plating. 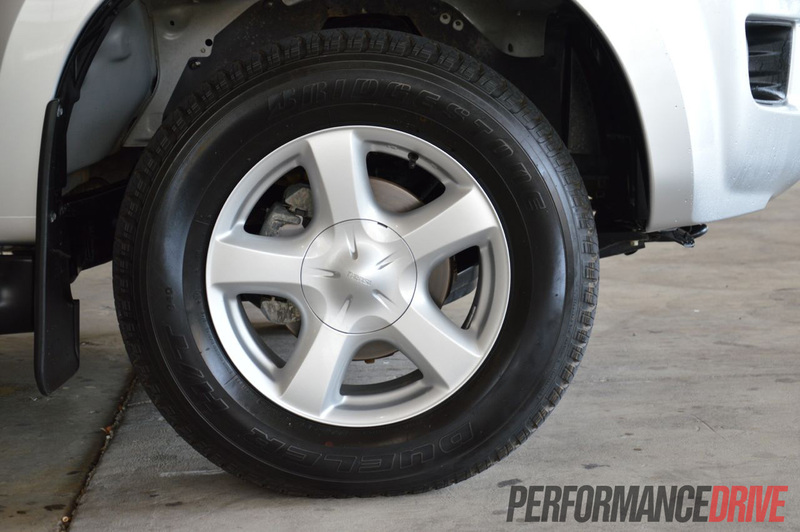 During our test, the only time the D-Max struggled was when we purposely put pressure on all wheels except an inside rear wheel to see how the new brake traction control differential worked. 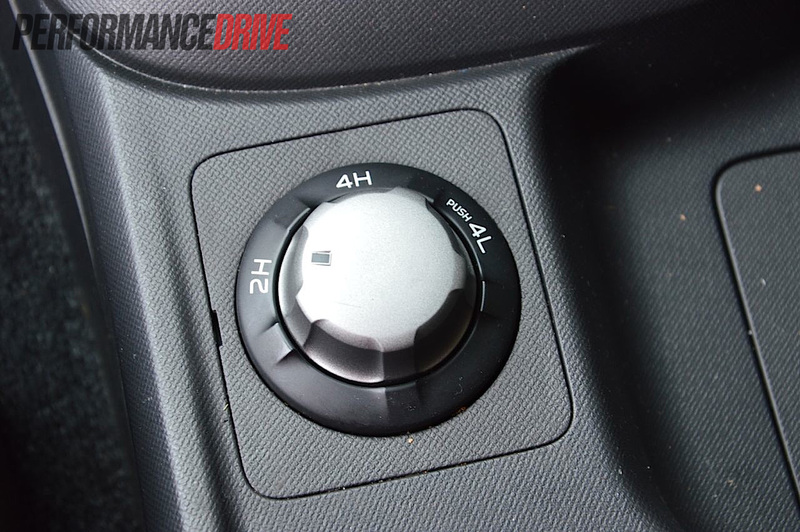 The electronic-type diff replaces the old mechanical limited-slip setup. 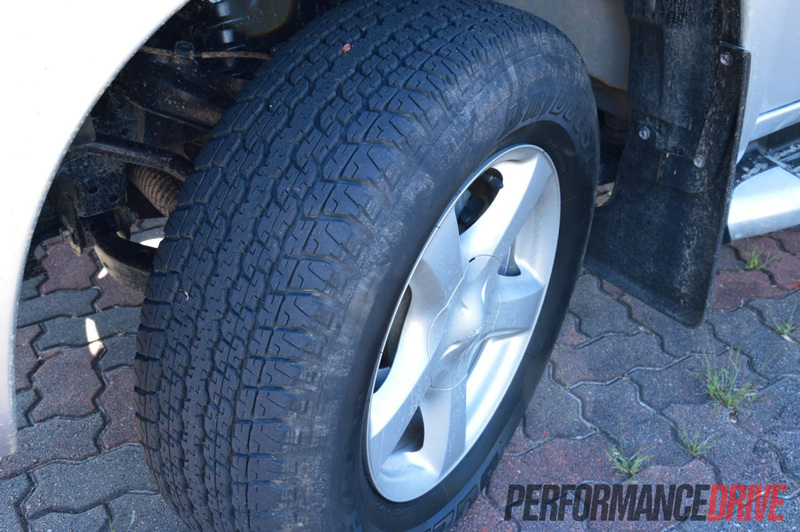 The inside wheel did spin, but with persistence on the throttle drive was eventually sent to the other wheels, pulling the ute free. 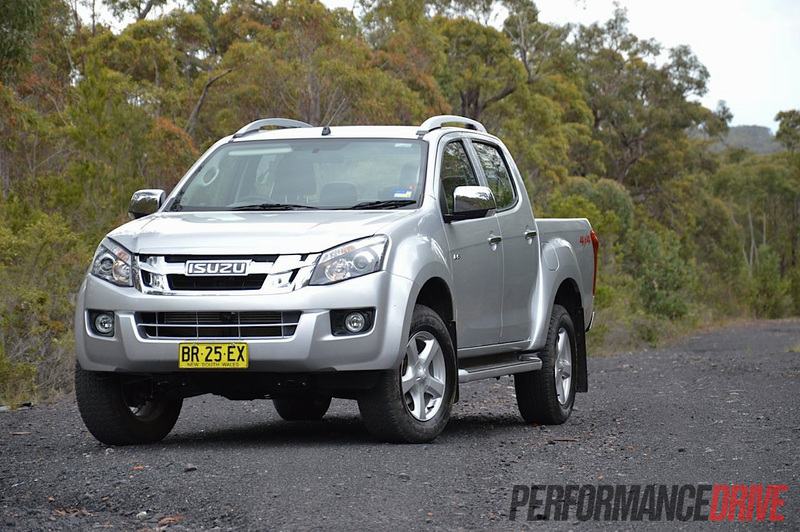 Overall, the D-Max is a great ute. You get the feeling it would last and last, even under very demanding conditions, and in all weather. 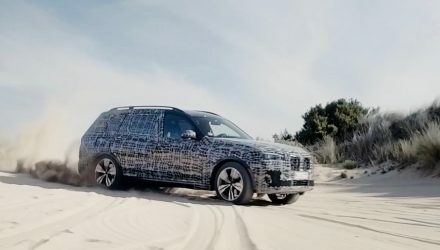 The engine specifications are on par with the leading rivals, and the interior – on this LS-Terrain at least – comes with most of the mod-cons you could need. The main aspects that let it down to us are the price and the slightly awkward driving position and driving character. At $51,700, it’s precariously close to various other well-sorted rivals. 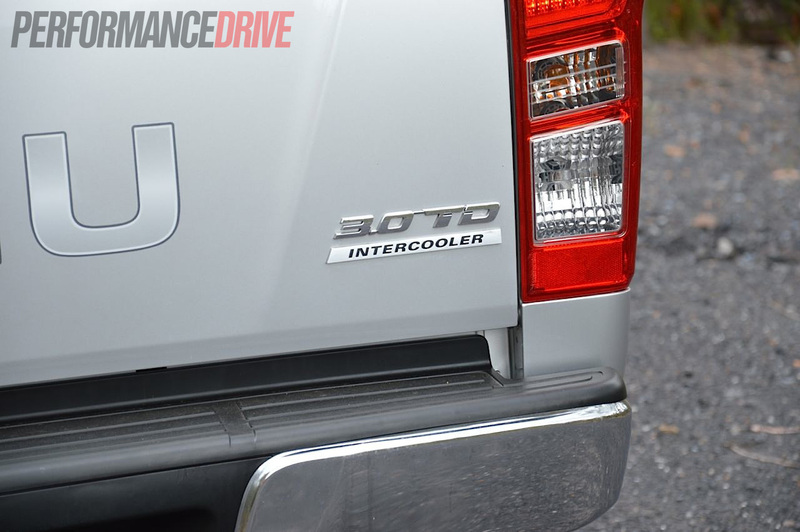 If the D-Max sat just underneath this price point, it would be a highly recommended purchase. 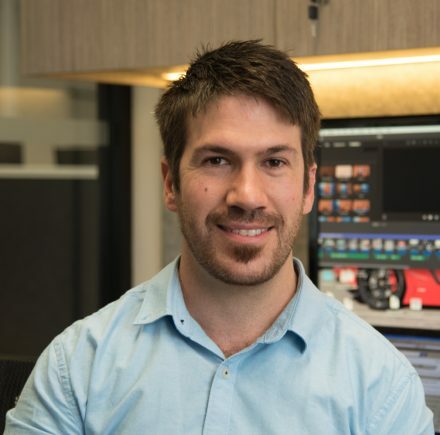 Unfortunately, the price is simply too steep to ignore some of the more dynamically composed and higher quality rivals.